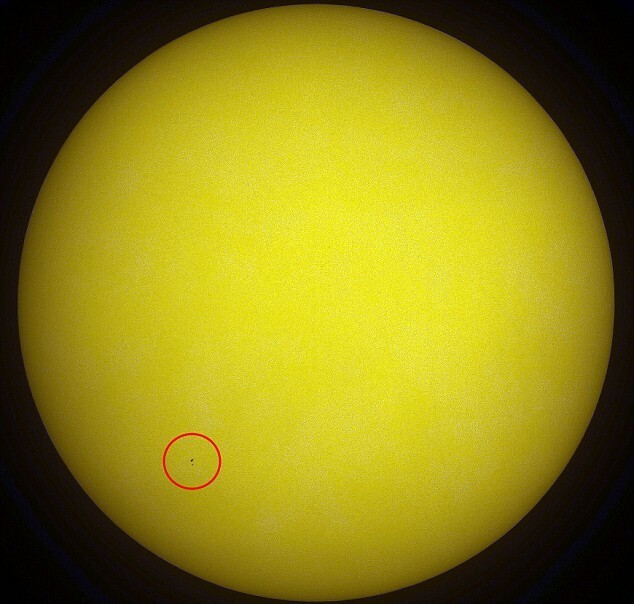 Apropos of Nothing: Space Shuttle and Hubble caught during solar transit ! 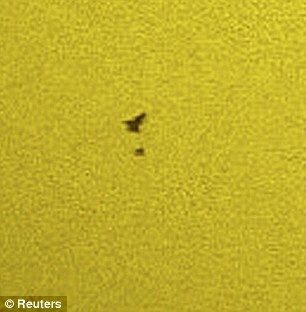 Space Shuttle and Hubble caught during solar transit ! These remarkable images were captured by Thierry Legault (a very accomplished amateur photographer) and show the shuttle and HST crossing in front of the sun. The shuttle and HST were travelling 15K MPH and the event lasted less than a second. You can read more about the shot and the mission in this article by the Daily Mail.